Corista’s DP3, provides a comprehensive solution for pathology including viewer reading images from any WSI scanner, navigation, annotations, collaboration, and custom reporting with synoptics, annotations & thumbnails. DP3’s Physician Dashboard integrates remote and local patient cases into a single view for physicians, integrates with LIS’s, is hardware agnostic and supports a complete range of high resolution and mobile devices. Founded in 1979, Dynamic Computer Corporation is an ISO-9001 certified IT solutions provider specializing in IT integration with medical devices since 1997. What is the Dynamic Difference? We take the design to value approach to help our customers reduce cost and lower risk by adhering to quality management systems. With 500+ OEM partners, Dynamic is your single-source for your IT supply chain. EMC, a global leader in enabling businesses and service providers to transform their operations and deliver IT as a service. EMC's innovative products and services, accelerate the journey to cloud computing, helping IT store, manage, protect and analyze their most valuable asset - information - in an agile, trusted and cost-efficient way. 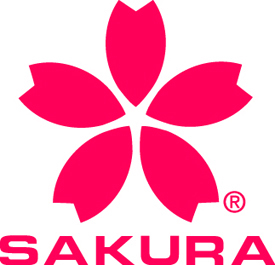 Hamamatsu Corporation is the North American subsidiary of Hamamatsu Photonics K.K. (Japan). We’re introducing an addition to our renowned NanoZoomer line, the proven workhorse for whole slide scanning in both brightfield and fluorescence applications. Our new product will continue to serve the imaging community with the robust performance and image quality you’ve come to expect from Hamamatsu. Huron Technologies develops world leading slide scanning solutions for digital pathology. Huron builds everything from high speed desktop scanner that images up to 12 brightfield slides at once to the TISSUEscope™ scanner which is a high resolution versatile platform capable of imaging specimens up to 8” x 6” in confocal fluorescence and brightfield. Huron also features a TISSUEscope™ 4000XT with a Autoloader Module which is fully automated and integrated platform that enables high throughput scanning of small and large glass slides. Huron Technologies develops different products with varying budget costs in mind. Indica Labs provides software solutions for fast, quantitative evaluation of digital pathology images using HALOTM, our flagship image analysis platform. With unmatched ease-of-use, scalability, and processing speed, research organizations worldwide are using HALO for high-throughput, whole-slide image quantification in areas such as neuroscience, ophthalmology, metabolism, oncology, respiratory, and toxicological pathology. Leica Biosystems is the global leader in anatomical pathology solutions and automation, striving to advance cancer diagnostics to improve patients’ lives. Leica Biosystems provides pathologists, histologists and researchers a comprehensive range of products for each step in the pathology process. From specimen preparation and staining to imaging and reporting, our solutions help increase workflow efficiencies meaning patients receive their results sooner. Founded in 2009, Mikroscan develops desktop whole slide scanning systems for pathology, biology and research applications. Mikroscan products offer unprecedented ease-of-use, flexibility and affordability, empowering state-of-the-art digital pathology communications. Pioneering scanners like the Mikroscan D2 and the Mikroscan L6 offer a unique, interactive experience that speeds up and simplifies most common routines into a workflow that is easy and intuitive. To learn more about Mikroscan, please visit www.mikroscan.com. The National Society for Histotechnology (NSH) represents professionals from the Histotechnology discipline that practice in clinical, research, pharmaceutical, veterinary, marine sciences and forensic laboratories. 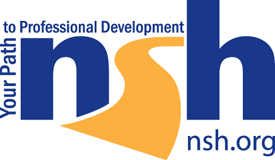 The NSH is the global leader in professional development of practitioners in the discipline. The NSH is recognized as a resource to professional standards and accreditation organizations as a partner in developing quality programs and documents that are utilized in the anatomic pathology laboratory. The NSH is actively represented in numerous healthcare professional societies and participates in an advisory role as a voice in regulatory issues that impact health care. Olympus Corporation is an international precision technology leader operating in industrial, medical, academic and consumer markets, specializing in optics, electronics, and precision engineering. As a subsidiary of Olympus Corporation, Olympus Scientific Solutions Americas is an integral part of the global Olympus network with specific responsibility for the sales and marketing of life science and industrial instrumentation in the Americas. The company’s core product lineup comprises clinical, educational, and research microscopes, nondestructive testing equipment, and analytical instruments all designed with the unwavering commitment to enhancing people’s lives every day and contributing to the safety, security, quality, and productivity of society. Philips Digital Pathology Solution delivers the speed, image quality, and interoperability needed for seamless collaboration and fast, confident decision-making. Intelligently analyze/organize growing amounts of clinical data. Harmonize patient records with pathology cases/results. Access information virtually anytime, anywhere. Philips is dedicated to improving healthcare through innovation. Together, we can provide the shortest path to the highest quality of care at the lowest cost. iMedHDTM streams high-definition images in real-time anywhere and anytime. The only telepathology system to feature true 1920 x 1080 HD technology, iMedHDTM lets you share and view spectacularly crisp, clear images right down to the cellular level. Capture video, take snapshots, or annotate and measure biopsied gross specimens. Easily integrated into an LIS, digital pathology data management software system or securely shared with physicians and colleagues anywhere. Sakura Finetek, USA, Inc. presents the VisionTek® M6, the only Digital Microscope that can use like a conventional microscope to view live up to 4 slides simultaneously or to view multiple areas of the same slide at different magnifications (2.5x, 5x, 10x, 20x, 40x, 63x) with time to view under 17 seconds – ideal for anatomical pathologists, cytopathologists and hematopathologists for any consults or for teaching. SPOT Imaging Solutions is a manufacturer of imaging systems for pathology. SPOT digital cameras for microscopes are well known for quality publication and documentation images. SPOT PathStand™ and PathStation™ macro imaging systems make image capture easy in the grossing room. All imaging systems include software that provides on-screen preview, annotation, teleconferencing, measurement, reporting and LIS integration with a simple interface. Visit us at www.spotimaging.com/pathology. Ventana's digital pathology products empower you with the convenience of a comprehensive image and workflow solution. When used together, our integrated staining platforms, assays, scanners, algorithms, and workflow system optimize your process from staining to reporting. The result is increased workflow efficiency and enhanced medical value. Ventana provides physicians with the industry's only FDA-cleared testing package of five key breast biomarkers with their corresponding image analysis algorithms and digital read applications for cancer patients. Over the past 13 years, Visiopharm image analysis and stereology software has become the preferred Quantitative Digital Pathology solution for leading biopharmaceutical companies, clinical researchers, and academic researchers all over the world. Recently, Visiopharm has expanded to include a robust solution for cancer diagnostics with CE-IVD algorithms for the breast panel, integrated LIS driven workflow, and Virtual Double Staining. Our software is featured in over 700 scientific publications, and is compatible with leading slide scanner manufacturers, data management software, and a wide variety of microscopes and cameras. Visiopharm has grown into an international business with over 475 customers in more than 30 countries. Our growing network of authorized distributors and integration partners support the growth of Visiopharm solutions on several continents including North America, Europe and Asia. Our headquarters is located in the Medicon Valley of Denmark and has a North America office in Broomfield, Colorado. XIFIN is an innovative software and services company dedicated to optimizing the economics of healthcare. The company’s cloud-based technology and business intelligence platform links healthcare stakeholders in the delivery and reimbursement of care, optimizing both business and patient outcomes and providing informed, streamlined diagnostic and business decision-making. For more information, visit www.xifin.com.